20.06.2018: UP Police Constable 2018 Recruitment Expected Cut Off Marks Declared. This is an estimated cut off, which can be up to + _5 Marks (up to 5 Marks) from the official Cut Off of UP Police. Following the Written Examination of 18 and 19 June 2018, Next Recruitment Process (Document Verification & Physical Standard Test (PST)) for which at least 4 times (41520 * 4 = 1,66,080) candidates will be called. Uttar Pradesh Police Recruitment Board going to release UP Police Constable Answer Key 2018 soon at upprpbonline.org for the Constable Examination which conducted on 18th & 19th June 2018. The UPPRB conducted this examination with the aim of recruiting candidates for the position of Constable in the UP Police Department. A huge number of candidates appeared in UP Police Constable 2018 examination and now waiting to release of UP Police Answer Key 2018 for Constable examination. We want to inform all the candidates that, Uttar Pradesh Police Recruitment Board will release the answer key after one month the exam date. The UP Police Constable 2018 Final Answer Key will release after completing the objection against tentative answer key on the official website. 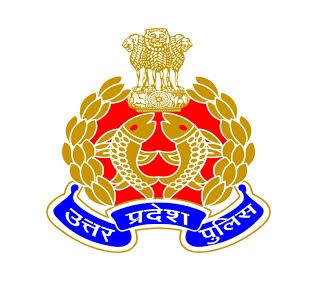 Uttar Pradesh Police Recruitment Board has Recently announce about the Recruitment of 41520 Posts of Constable. Many Interested and Eligible Candidates Filled there Online Application form for these Posts. The Process of Submitting the Online Application form is started from 22 Jan. 2018 and Conducted till 22 Feb. 2018. Candidates Can check the Detailed Information about the Recruitment from the Below Provided Link. Here we have mentioned all the required information which are related to UP Police Constable 2018 Answer Key that examination held on 18th & 19th June 2018. The UPPRB will release the UP Police Constable Tentative Answer Key 2018 after one month the exam date on the official website. How to Check UP Police Constable Answer Key 2018? Click on the "दिनांक 18-06-2018 से 19-06-2018 के मध्य संपन्न ऑफलाइन परीक्षा की रिस्पांस शीट तथा आंसर की (उत्तर कुंजी)"